Wes Doty and crew fighting through some trying conditions. Because you put a great deal of time and energy into your racing, forsaking other pursuits, it is worthwhile to examine and learn from each time into the fray. Let’s look at some ways you can judge and learn from your racing. 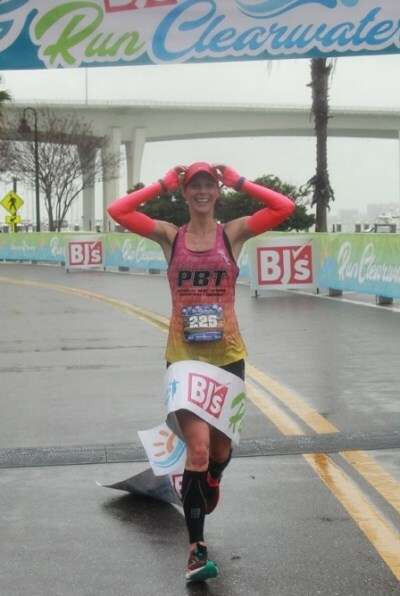 The most basic and my favorite way of judging my own races is my feeling as I cross the finish line. If I am thrilled, relieved, or disappointed it usually outweighs time or place. The initial feeling at the end of a race is nearly impossible to fake and usually says much about that day’s effort. To utilize racing to it’s utmost, let’s go a little deeper with further inspection. Did you race your plan? If so, was it the best plan for that particular race? If not, did your in-race change of plan pay off? The answers here will make for a better plan next time, but also help plan possible contingencies for what may happen in terms of conditions, competition, and how you are feeling that day. Did you accurately evaluate your fitness? I find predicting races from races is more reliable than predicting races from training. However, good training history with key duplicated workouts can be very helpful. This is also a good reason for some low key tune up races before something important rolls around. Were the variables as expected and did you properly account for them? You might very well be in 90 minute half marathon shape, but on a hot, hilly, or windy day, you better be ready to run a few minutes faster to hit 1:30 for 13.1. Exceptional racing requires the right mix and timing of patience, aggression, and toughness. The wrong timing or a missing ingredient will lead to the charred ruin of solid training and high hopes somewhere between the start and finish lines. We can sugar coat and speak philosophically about racing, but it will always come down to pain tolerance. This is the sport we have chosen. There are times I have a runner finish with disappointment which often warrants further investigation of their result. Here is the quick checklist I like to run through with a disappointed runner that seemed to get the mix right, but still had unsatisfying results. Was the course as expected? Were the conditions as expected? 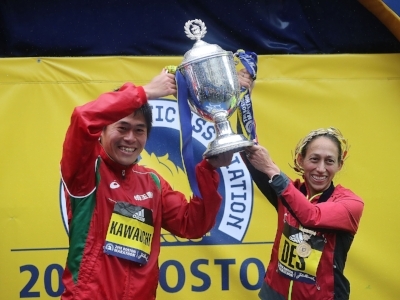 If not, were either or both of these accounted for in your post race expectations? Taking a look at the race results may prove helpful by looking how you fared against other known competitors. Did you get beat by people that don’t normally finish in front of you or did you finish before others that are usually faster? How are the time gaps if the order of finish was normal? Were you closer or further back? If time or place against competition is in your favor, it may just not have been a day to run fast. If these are not in your favor, you may be justified in being bummed about your performance. Occasionally, you can be happy when you cross the line only to find people ran out of their minds fast and you were just average, so this can cut both ways. Did you give in when doubt set in or when the race got difficult? Were you able to overcome the rough spots that tend to come and go even on great days? When it comes to that last question, I cannot fully convey how important it is to keep fighting hard through a race. Racing is not simply about fitness, but also about the skill of racing. Knowing how to plan, adjust, and give your best are skills that will reward all the training miles and effort. We get good at what we train, and if you allow yourself to give in when races go sideways, you get good at giving up and this becomes your default race setting. Sure there are times when it’s smart to pull the plug, but they are few and far between. The skills of running are highly underrated. True breakthroughs in running are very rarely about undiscovered fitness. Almost always they are about racing skill meeting the right set of conditions. Upon further review if you had a great race take it as confirmation you are doing the right things in the right way. If you had a not so great day, evaluate and figure out what went wrong. Bad days happen, but if bad days become a trend it’s time to make training adjustments or work on specific racing skills for happier finish lines. Perfect running moments don’t always need perfect training. If your last few months of running have been smooth sailing without injury, illness, weather interruption, or work or personal conflict, you can skip this post and file it for later. If one or more of the aforementioned have taken their toll on what was once a grand plan for a great spring racing season, then the following advice is for you. If your training has been a little more hit and miss than you would like, there are some good things to keep in mind. Your head will decondition much faster than your body. The most common occurrence of this phenomenon is when you go from a great workout or race to one just a few days later that is disappointing. It seems all is lost but really we know you never gain or lose fitness that fast. Keep in mind a great performance proves you are in great shape. A bad day simply proves you had a bad day. When you have not been able to check off every mile and every workout, do not underestimate the value of lifetime base and toughness. Of course, being talented also really helps smooth over spots of missed training. But if you think you are beyond mental deconditioning and it’s going to take more than zippy mental tricks to get you back in racing mode, then it is time for a reality check. Pulling a workout staple with a long history or a short race will put your current state of disrepair into perspective. Maybe you’ve been doing a mile repeat workout, or threshold run for a number of years. Controlling the variables such as conditions, course, rest intervals, etc will give you a look at how you stack up historically. Then you can see how you’ve done after similar workouts. A short race will help you predict race performance from race performance which tends to be more reliable. If the news is good and you are not that far off course, pick up the plan with a few needed adjustments and resume your season. If the news confirms your fears of lost fitness, it’s time to reset. The first step is to reevaluate your goals for the next few months. You might need to adjust, reset or drop them. We do know that trying to make up for lost training in a compressed time frame is a sure bet to set yourself back even further with injury. The lesson I’ve had to learn more than once that is very valuable when rebuilding fitness is to just run the workouts at the appropriate effort level and let pace take care of itself. I’ve been amazed at how much faster fitness builds when overrunning the workout is avoided. Just run the workout and let your body work it’s magic. If you do have significant rebuilding to do, following these steps should help you get there asap without undue injury risk. One, reestablish consistent running. Two, pick a day or two each week to push your aerobic limits. Ease into the run and then increase to high end aerobic running and stay there a little longer each week. At first you will find rapid improvement, but when this begins to plateau much of your basic fitness has returned. Along the way with steps one and two you can reestablish your long run without hurry to get to a big number. Just go long enough you are tired at the end. Step three is to add some aerobic intervals like 30 seconds fast and 60 seconds jog. Just get used to running faster than you can maintain. When this feels coordinated and comfortable, you have put together the pieces you need to resume full intensity training. This general approach is important because legs, lungs, and nervous system adapt at different speeds. Getting these back in balance is an important safeguard to keep you healthy and improving. Let’s look at the silver lining of a training buildup gone wrong. Fitness gets so much focus, the skills of racing are often overlooked. Racing skills are what help you maximize your training. If the initial goals are now gone, you can still make this season count by learning an incredibly valuable skill. Rarely do a string of months go 100% according to plan. Learning to race up to your actual fitness through running peaks and valleys may end up yielding more in the long run than a beautiful training log. There are no deals, so make your miles count! If you are reading this you most likely take your running seriously. That means it is not only important to you, but you make choices that cause you to miss out on other things to have the time and energy for training. That being the case, the ultimate running sin is to do things in training that are actually counterproductive and cause you to waste your work. I will make an admission up front. I have committed all of these at one time or another as a runner or as a coach. I can tell you it hurts to have done the work, but to have done something else to prevent reaping the benefits. I hope what follows can help you avoid the same mistakes. Racing Workouts There is no substitute for hard work in training. You have to practice digging deep to be able to do it on race day. However, going too deep, too often in training can also lead to an inability to adapt to your training, breakdown, or flat racing. Train hard, train consistently, but save the heroic efforts for race day. While you should take confidence from your training, just wait and see how optimistic you feel after a few great races. Passing Opportunities With every interval, mile, and run so measured and often reported through online media and training sites, it is hard to back off training and put up bad numbers. It is hard to back off to be rested going into a race and to back off to recover from a race when it will hurt your numbers. Passing up too many racing opportunities to keep you numbers up is the exact definition of losing perspective. You are training to race better, not training to train better. I know some of my best fitness was wasted looking past too many opportunities and towards some big race a few months down the road. Yes, this problem can swing the other way to too much racing so plan thoughtfully to balance training progress with racing results. Dropping Good Habits If you have done this welcome to the club that includes every runner ever. After focusing on getting stronger and more flexible, getting more sleep, eating to maximize health and energy you feel so good, you stop doing these things until you break down. Write these habits and practices in your training log right alongside the workout and mileage. They allow you to get the most from the actual running. Find a level that can be maintained. Then maintain it! Losing Balance With both training and racing it is easy to stick with your strengths. If you are a 5K runner that loves 12 x 400m, it is easy to never stray far from those. A long steady state and a 10K-10M race may give you a new training effect to help you maintain a faster pace for the shorter distances. 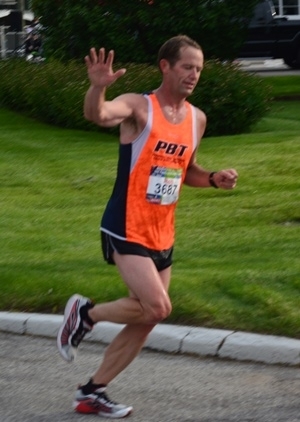 If you are a marathoner who hates anything shorter than a 5M steady state run and wonder why anyone would pay to race under a half marathon, you could be shocked in a good way to find how easy marathon pace feels after a few 5K's and quarters. The right balance at the right time is key to optimal training effect. Staying at one end of the spectrum is a sure way to slow or stop your progress. Not Listening You body tells you everything you need to know. It might start as a whisper, but it will tell you if you are approaching your limit or if you can do more. Don't make it scream at you because that usually ends in a sports medicine visit. Fixation on Time Weather, course, biorhythms, pacing, and motivation only converge near perfectly a few times a year. Yet, we often grade ourselves exclusively, sometimes pass or fail, on time. If you fall into the trap of thinking only in terms of times and PR's you are missing many rewards. Some of your best races may not fall into your top 10 times for a distance. Learn to appreciate how you do on a particular course, or against frequent competitors to measure your race success. You can show up and be doomed by one variable that is against you, such as heat. Learn to embrace it and take the challenge to beat someone faster than you because you are either tougher or smarter or both, and will race better in bad circumstances. When a simple 4 mile run can feel like this it's time to arm yourself with some strategies to thrive while others wilt. 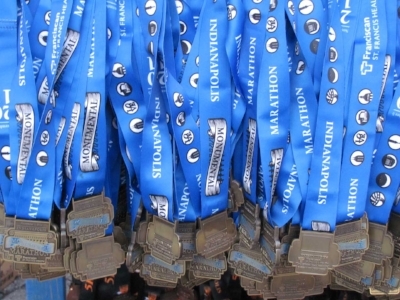 So you have registered for Monumental with a fast course and cool conditions on your mind. But then the realization sets in that to be ready to take advantage in November there are some critical training months that will be neither fast nor cool. It's hot out there! I do not want to duplicate the other heat training articles you have read, but I do want to offer a few practical points that may help you thrive while others are melting this summer. LIVE BY FAITH when the heat index is stacked against you. Accept your watch will not be offering you much in the way of confidence building numbers. It will be rare to be feeling light and fast when the conditions induce sweating by the very act of stepping outside. Have faith that great training effect can still be had from working through tough conditions. Your watch may try to tell you that you are worthless and weak and you should take up a less strenuous hobby when all the while you have been building the perfect beast. The first cool day will prove your faith was well placed. YOUR HEART RATE WILL DRIFT in the heat. Two primary factors will cause your heart rate to rise above your actual effort level. Lower blood volume caused by dehydration results in increased heart beats to deliver the same amount of oxygen. Blood is also redistributed closer to the surface of the skin to help cool you and that leaves less volume for exercise. So your legs and lungs may feel fine while your heart rate is indicating you have increased the effort. 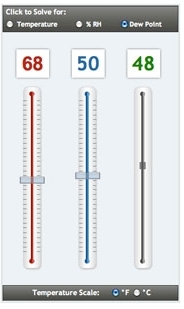 This is a good time to rely on your other measures of effort. 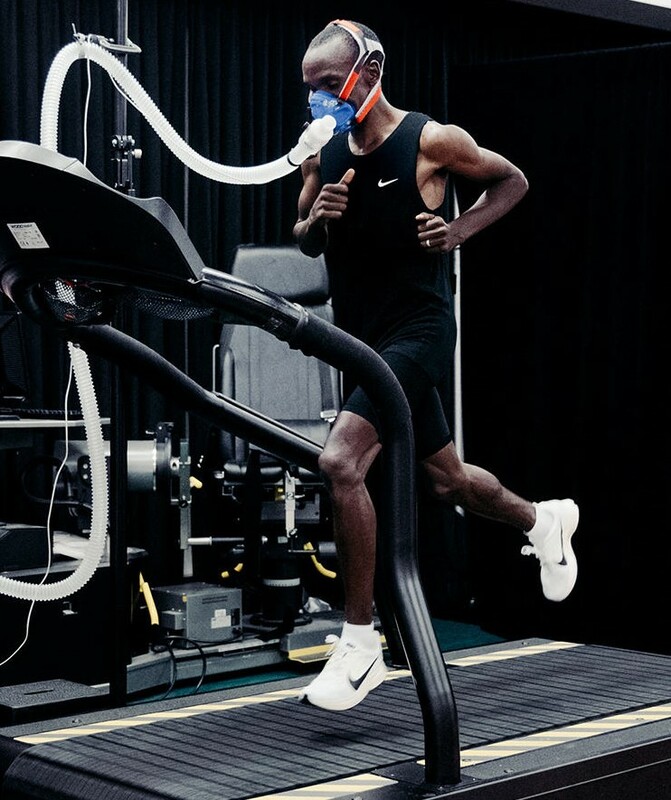 If we can no longer trust pace or heart rate we need to focus more on our respiratory rate, muscular tension and perceived exertion. TRAIN YOUR GUT to get you through the fire. We know that if you can keep your water, sugar, and salt levels constant, running long and fast sure is easier. As they dip you have all kinds of trouble coming your way. We know what dehydration can do to you,but without enough sodium there is only so much water that can be absorbed no matter how much you drink. If you run low on sugar you are on borrowed time before all speed is gone. Are you thinking, "I tried, but I just cannot eat or drink anything when I run"? Well, maybe. But just like endurance and speed that is trainable. Start working on it now. If you get this down the duration and quality of your workouts can be closer to what you can do in ideal weather. Bonus: This skill will be a big deal on race day when you are trying to run longer and faster even in great conditions. WEIGH EARLY AND OFTEN to manage your hydration. Keeping your hydration level constant will not only maximize your chances of a good workout or race, but it will also help speed recovery. 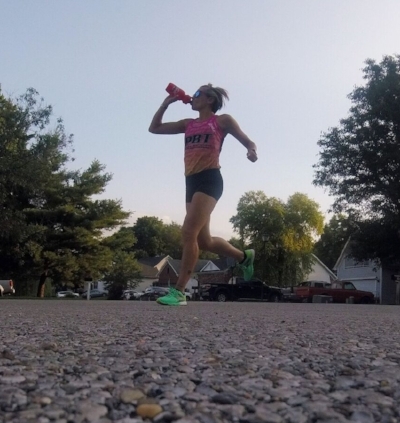 In the summer, running consecutive days or twice a day for the higher mileage crowd, your ability to rehydrate can become your limiting factor. How do you know if you are optimally hydrated? The simple and most practical way is to keep an eye on weight. As you weigh yourself you know what to expect in the morning, pre run, post run, and at bedtime. This regularity helps prevent surprises because if you realize you are too light and dehydrated as you head out on a run there is not much to be done other than to suffer. In most cases taking in fluid on the run is limiting your losses and not keeping up with them, so if you start dehydrated it is all but a lost cause. However, if you know several hours before a run you have time to work on it. How many opportunities do you have to fly down a clear Meridian Street? If your running started when you were school age it is very likely one of your first races was the mile. You have probably wondered periodically what you could run for that distance now. Maybe you could run faster or maybe not. However, there are not too many opportunities to race the mile. There is now! If you started running after you finished school you may have never thought about racing a mile. After all, why would someone pay to run one mile? Good question. Let's see if I can give you a few reasons to race the Monumental Mile. 1) It is one mile straight down Meridian Street finishing at the circle. 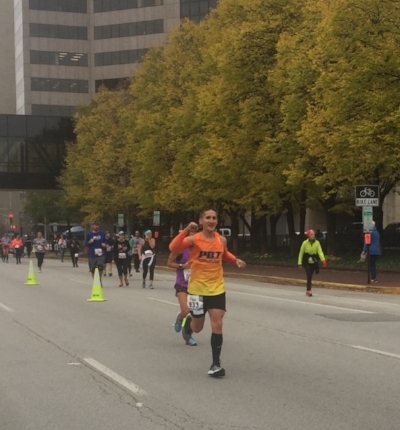 Traffic is shut down on what is considered the main street of Indianapolis, so you can see how fast you can run one mile. How cool is that? 2) There is a race for everyone. There is a race for kids, youth, masters, open, and even a community mile for the whole family. And then the races are topped of with an elite mile. Except for the kids and community miles, all have a separate men's and women's race. Link to all the Monumental Mile details! There is no holding back with only 1 mile to go!